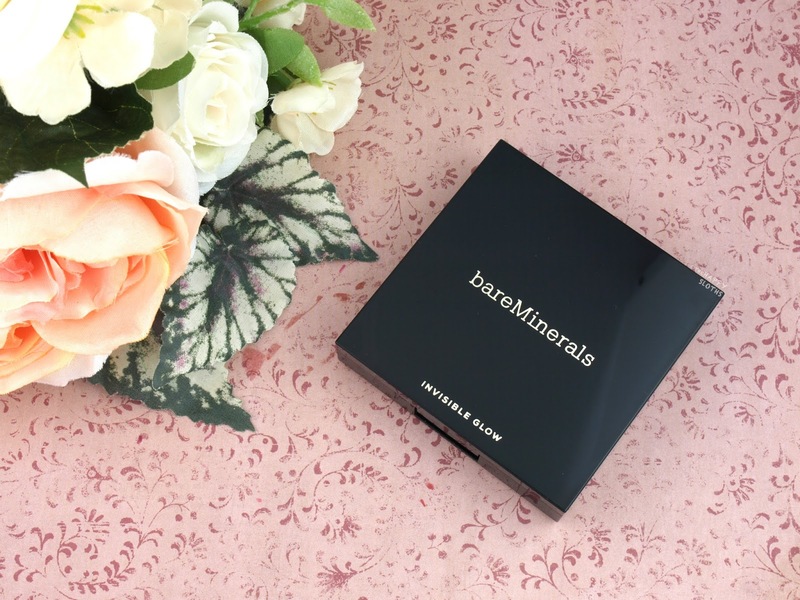 The bareMinerals Invisible Glow Powder Highlighter comes in a square black compact. Inside are a nicely-sized mirror and 7g of product. The compact has a very luxury and elegant feel, despite the super simple design. bareMinerals Invisible Glow Powder Highlighter in "Medium"
With a lightweight, baked texture that's slightly dry and "dusty", the Invisible Glow Powder is available in four different shades to accommodate different skin tones. "Medium" is made with a combination of peachy pink and soft gold shimmers. 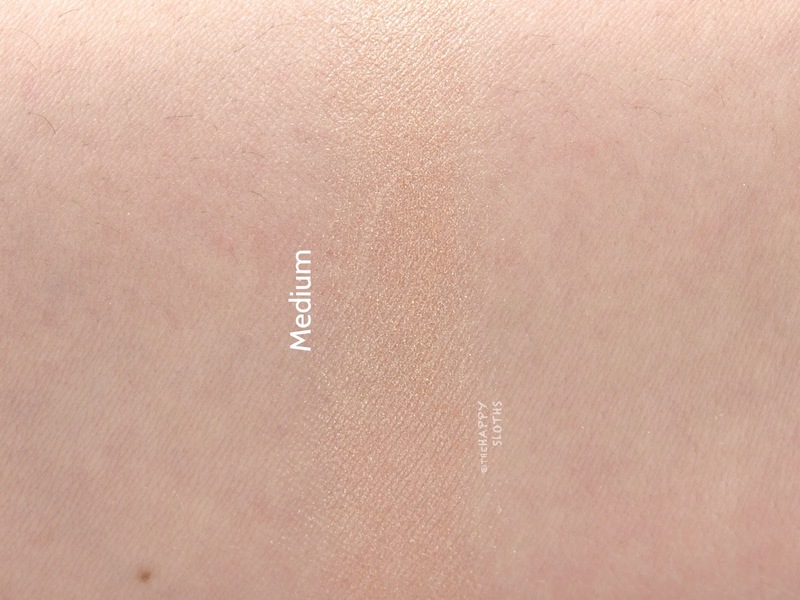 When applied, the powder doesn't provide a whole lot of visible pigmentation. You get mostly super-fine sparkles and a subtle brightening effect. 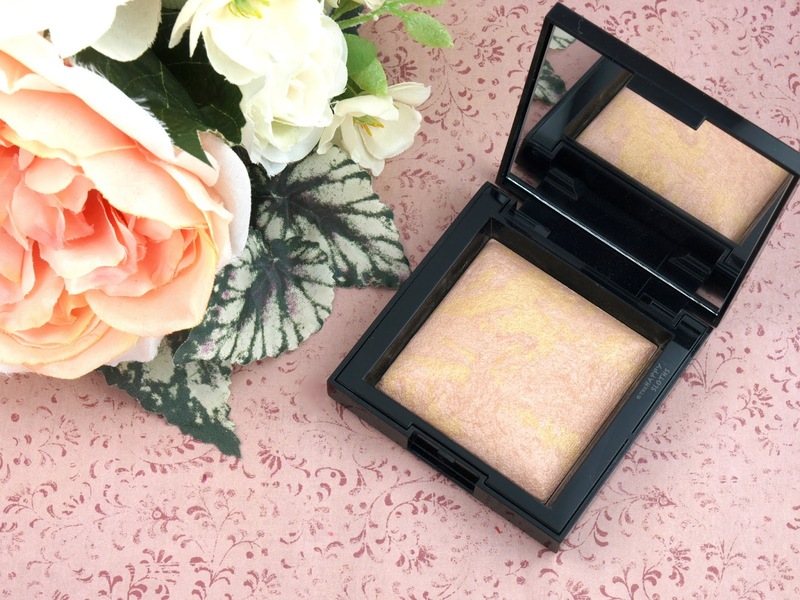 Under direct sunlight, the highlighter shines with sparse iridescent shimmers but under artificial lighting, the product provides only a very subtle sheen. Overall, this is quite an interesting product. 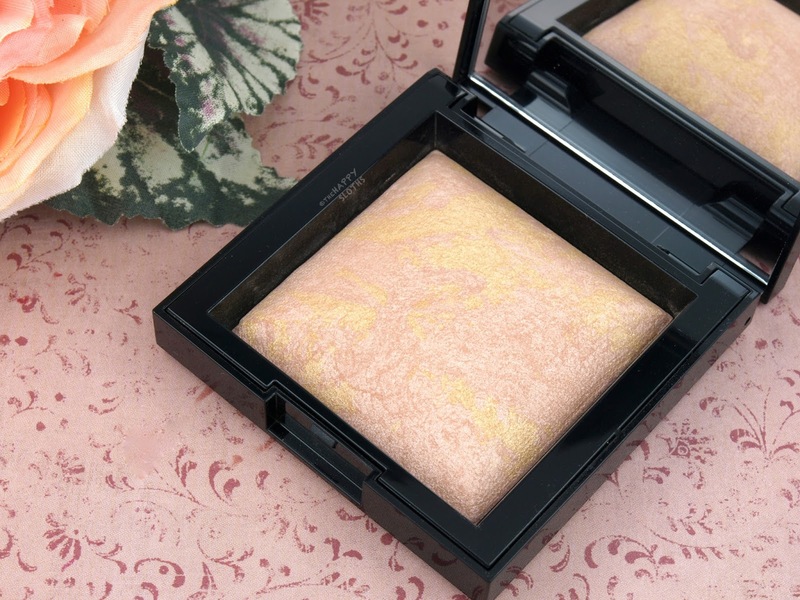 Despite the slightly dry and messy formulation, the powder applies well and blends out evenly. It doesn't provide the traditional sheen nor is it too glittery or gritty. It's brightening and sparkly but surprisingly subtle at the same time. I'd recommend checking this out in person before buying to see how you like its effect.